The Sherlock Holmes mythos, legend, industry, whatever you want to call it, is one of the most popular Classic adaptations out there. 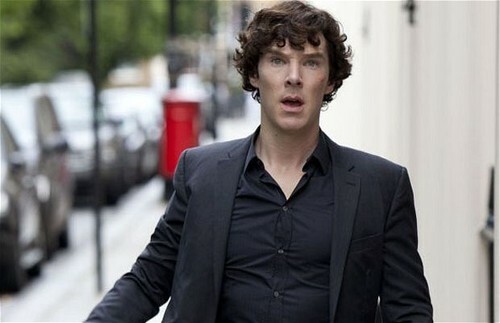 From the BBC’s Sherlock to Elementary to the movie recreations to video games, he’s everywhere. So naturally I had some expectations going into The Hound of Baskerville. 3) With a trusty sidekick, Watson, who is clearly inferior in some ways but retains his humanity in the face of Sherlock’s cold detective facade. 5) And possibly some disagreements with the established police/government. And hopefully 6) Some Moriarty, yes. Please. I don’t care what anyone says the Moriarty of Elementary was/is my favorite of all time. Hands down. The mystery was simple, a curse lay over a family, a Hound from Hell would haunt them and claim them for crimes a not so distant ancestor committed. Holmes and Watson (who is telling us the story via recorded memories, his journal entries, and his letters as best he can) are contacted after the current Mr. Baskerville is found deceased outside his garden gate his face contorted in horror. Our story unfolds from there. By page four Holmes has insulted Watson in a bizarre ‘Well done for being stupid and inspiring my genius’ sort of way. There are a few interesting bits in the city with Holmes then Watson ventures alone with the Doctor of the late Baskerville and the new Mr. Baskerville just in from the States. Watson is a very well spoken man, very flowery and his voice sometimes can be very dense, but I enjoyed the off the wall view. I didn’t expect it but ran with it. Could you imagine being a Watson to Sherlock Holmes? 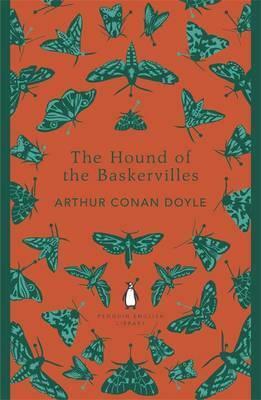 The Hound of Baskerville was a bundle of surprises but not necessarily a bad one. I’ll admit, I’m a sucker for Holmes and Watson, I always have been. It was fun to finally see the originals in action. The mystery itself was unique and about what I’d expect. It was the story telling that was different and made it stand out. Now that I have a basic idea of what the stories are like I’m looking forward to seeing I’d they stay consistent. Will Sherlock act even more bizarre? Will we ever see Moriarty? I’ll be doing a series of posts every so often to chronicle my misguided journeys with Sherlock and Watson. Stayed tuned!